Developer website: Rocky Sand Studio Ltd.
Is there a better alternative to Mail for Gmail? 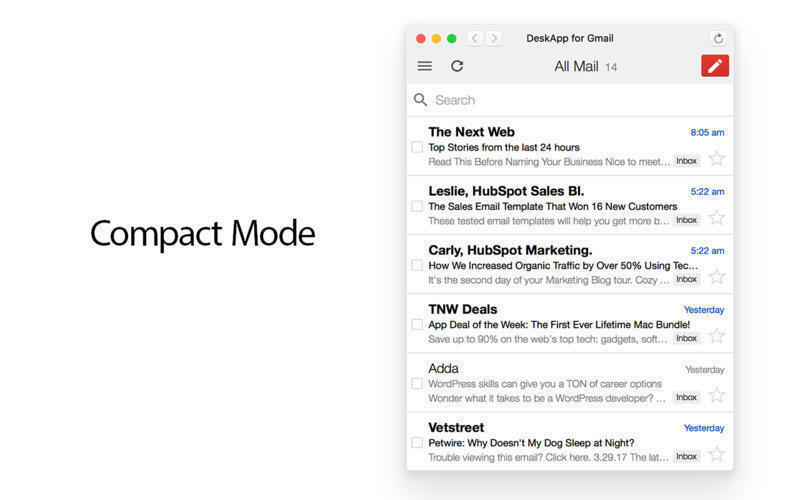 Is Mail for Gmail really the best app in Email category? 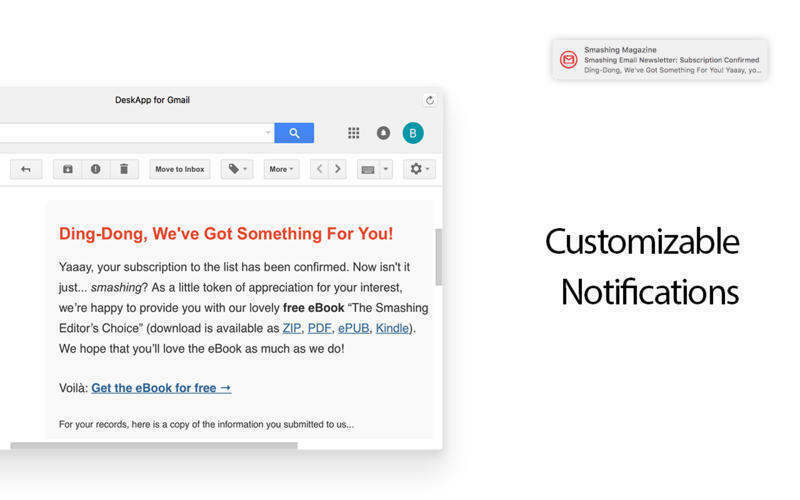 Will Mail for Gmail work good on macOS 10.13.4? 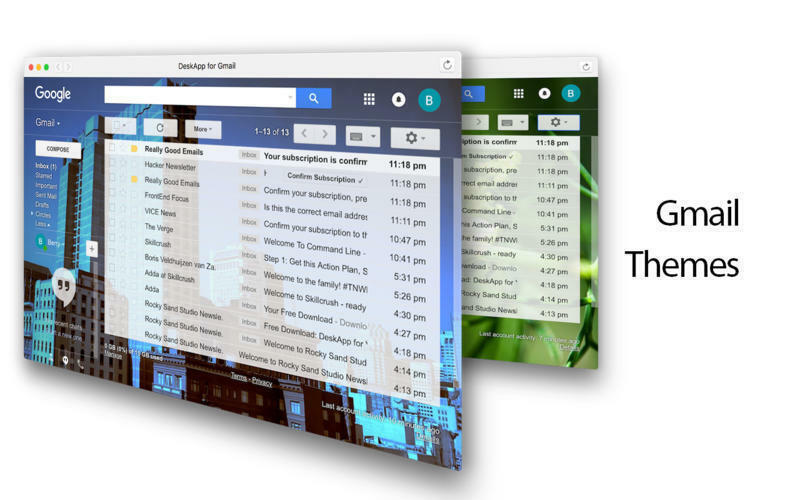 Mail for Gmail (was DeskMail) is a desktop app for Gmail. 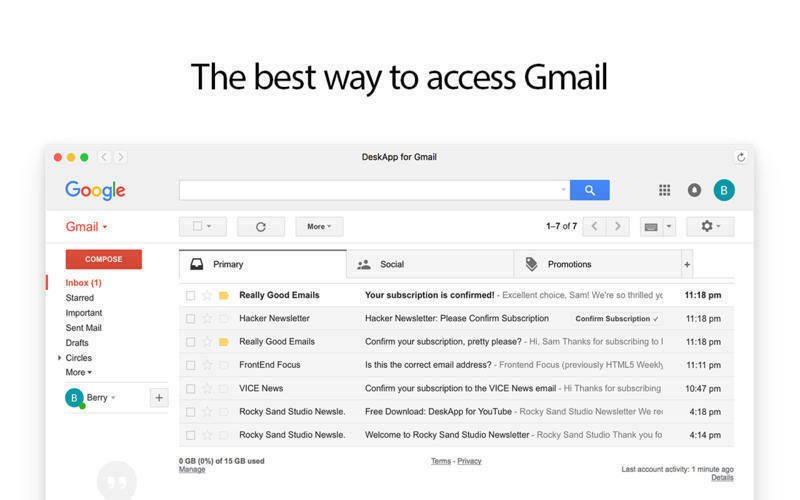 Enjoy all the advantages of accessing Gmail without a browser. Mail for Gmail needs a rating. Be the first to rate this app and get the discussion started!